to support your need for speed. 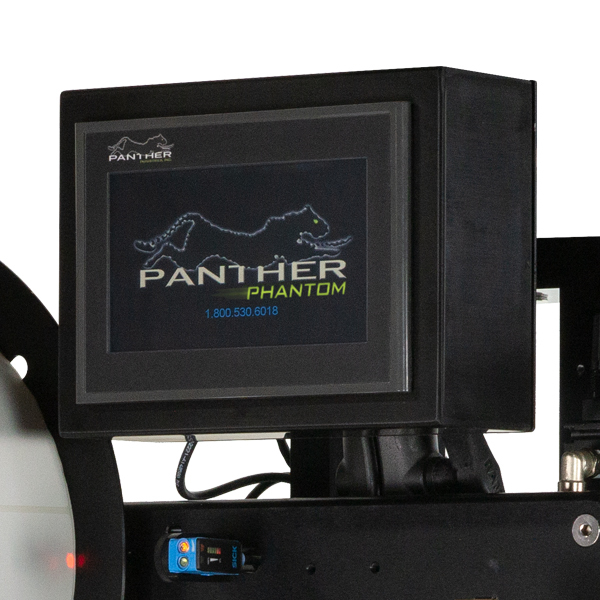 Built on the foundations of our iconic P2000 and P8 systems, the Panther Phantom is the labeling automation solution designed to support your need for speed. Featuring numerous applicator options, this system can be custom-configured to address your company’s requirements to achieve maximum throughput. The Phantom is built to run – with agility and flexibility.. Contact us today and learn how Panther's Phantom can immediately elevate your manufacturing, distribution, or fulfillment processes to increase throughput, reduce expenses, and decrease waste/loss for your business. Remote-mounted 7” touch screen display allows for flexible placement options.